What is the financial curse of poverty? What are the characteristics of the financial curse of poverty? You looked for much but it came to little. What causes the financial curse of poverty? Thus we can see that the Israelites were living under a curse of poverty because they had neglected God's house. The temple was in ruins but they were living in good houses. How does one break the financial curse of poverty? 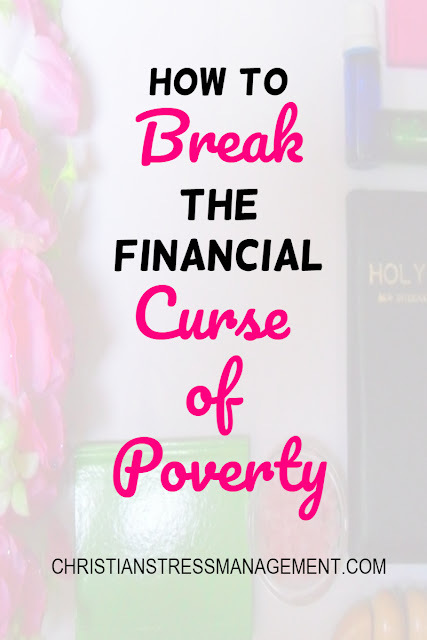 Therefore, if you recognize any of the characteristics of the financial curse of poverty in your life, know that to break this curse you have to do what God told the Israelites to do and contribute to the building fund of your local Church or any Church that God has drawn your attention to. 1. Use your gifts and talents to generate money. For example, you can design cards, knit scarves or bake cakes, sell them and give the proceeds to your Church. 2. Sell items you already own on sites like Ebay and give the proceeds to your Church. For example you can auction off books you no longer read or clothes you have outgrown. 3. Set up a business without overheads to fund your Church building activities. For example you can start an online affiliate store since you do not have to pay rent or buy the merchandise as you sell products made by other people on free social media sites like Pinterest and Twitter. Click here to learn about our Christian book affiliate program which can help you do just that. 4. Solicit donations and give the money you get to your Church. For example you can do this in person to your family and friends. Or, you can do it online by setting up a donation button on your blog. 5. Use crowdfunding sites like Kickstarter, GoFundMe and Indigogo to get money to start a project that you will use to generate funds for your Church. For example you can use these sites to get money to produce your movie or music album, sell it and give the profit to your Church. 6. Abstain from something you normally use and donate the money you would have spent on it to your Church. For example, you can cut out your daily cup of coffee for a month and give the money you save to your Church. 7. Partner with local businesses and ask them to provide you with merchandise that you can sell to other Church members in exchange for promoting their goods and services. For example you can buy cupcakes from a local bakery at wholesale prices and sell them after service on Sundays in bags branded by the bakery. 8. Organize a competition in something you are good at so that you can be the judge and charge the people who want to take part in it. For example, if you are a gifted choreographer, you can organize a dancing competition and charge the dancers who want to compete as well as those who want to watch them dancing and give the proceeds to your Church. 9. Organize a workshop in a subject you are good at and charge the members of your congregation who want to attend. For example if you are good at budgeting your family's finances, you can hold a budgeting workshop and give the proceeds to your Church. 10. Join a fundraising program like this one where you get flyers with candles and show them to your family and friends. Once they make an order and pay you, you then order the candles from the supplier and give them to those who have paid for them. 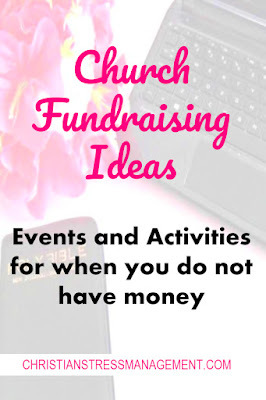 Click here for more awesome Church Fundraising Ideas. Know that the time has come and begin building the House of the God today so that He may take pleasure in it and be glorified.